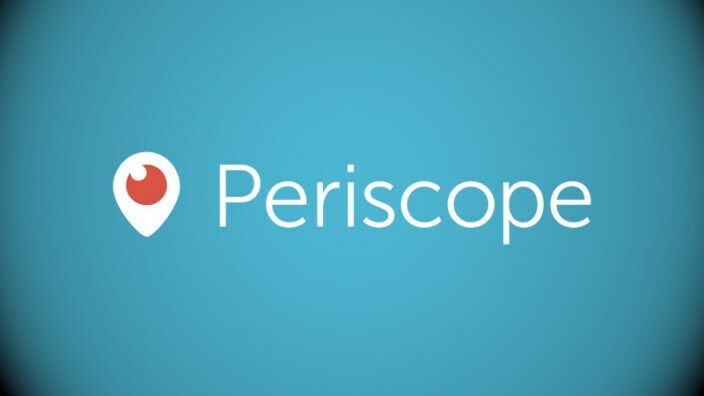 Please note: Periscope is available for ios and Android now. At CERN in Geneva Switzerland (they said I was the first one to do so). Always ask permission first. I ask via twitter and show front of house the tweets to confirm. I’ve also taken this opportunity to show many front of house the wonders of Periscope. Have good Wifi if possible. Announce to your followers to warn them (if it’s a tour encourage questions to be sent in). 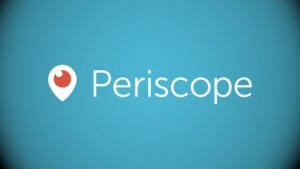 Name your Periscope with a good title and use a hashtag if possible. I usually mention location too. Ensure you have Tweet button and ‘Save to Camera’ options on. Leave time for conversation – whether asking questions from the viewers or asking them to use ‘hearts’ to say which object/art they like better. People who are typing their questions to you can see all conversations just as you can. Don’t swear. Sounds easy but while I control language with the written word, my vocabulary can sometimes be lively. People will type to you. Sometimes it’s ‘Hi from Turkey!’ or just ‘What country are you in?’ but I try to acknowledge them but either saying Hi back or ‘Great to see so many people in different countries’. Viewers can have dialogue between themselves – it’s like an open message forum from the 90s minus the moderator. You sadly can’t control what they type. I try to avoid filming faces/kids but it’s not always easy. For my ‘tours’ I encourage people around me or online to tell me what they want to know. It’s not always what is expected! Don’t worry about facts as much as stories. 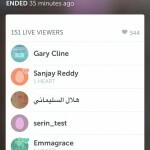 Periscope provides statistics for your viewing. 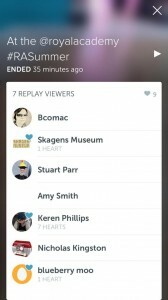 This includes Replays, retention, how many people gave ‘hearts’ (eg Likes), how many watched live, how many watched on the web (non-app). These are screen shots for Royal Academy Summer Exhibition. I titled it @Royalacademy #RASummer (their own hashtag). On the left I’m showing the people who replayed the video within 35 minutes of it ended. 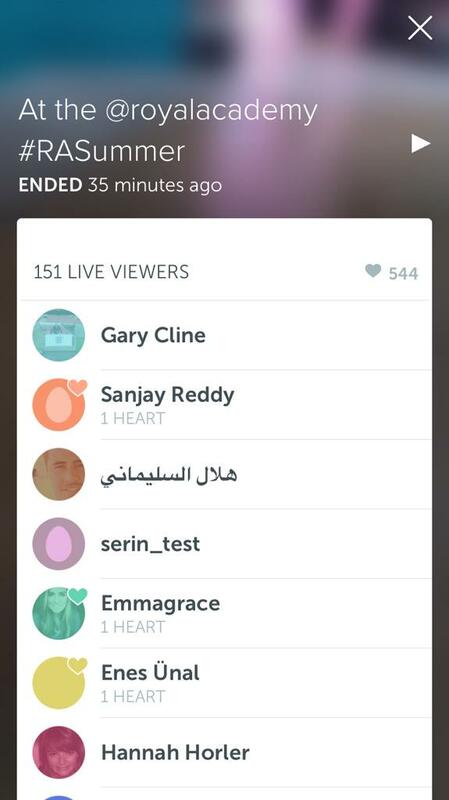 On the right, I’m showing there were 151 live viewers and 544 ‘Hearts’ which is a pretty good return. These are just a few tips and suggestions I’ve found along the way. If you have anything I should add or any questions I didn’t address, please let me know.